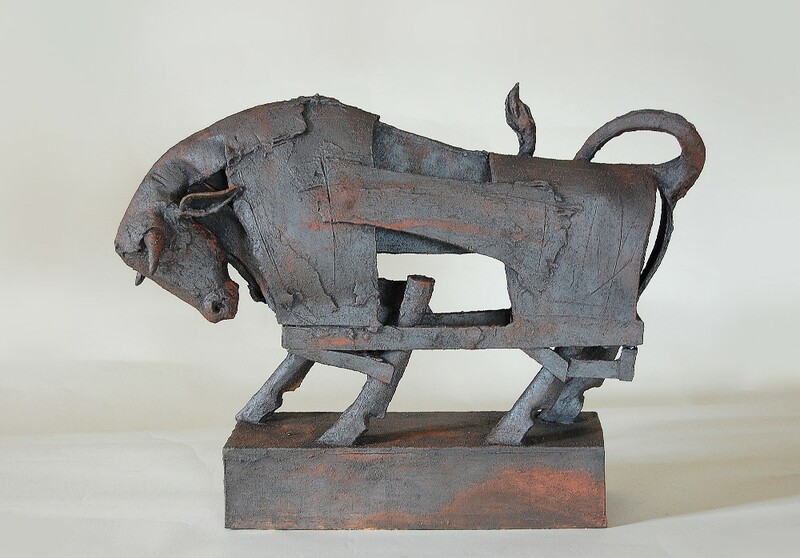 In 1984 I got a place at the Royal College of Art and was greatly influenced by the sculptor Eduardo Paolozzi, who was one of the lectures at the time. I loved the process he used to build his work. Like a child at play, he would dismantle a found object and rearrange the pieces to produce his extrsordnary figures and head sculptures. This was such a simple and playful approach to making . After college I stayed in London for the next 17 years and in 2001 moved back to my hometown in Donegal where I set up a studio and home, with my wife Sarah and daughter Leila. Most of my work is thrown on the wheel. I like the process of creating in action rather than stillness, and the form and detail produced by that action. 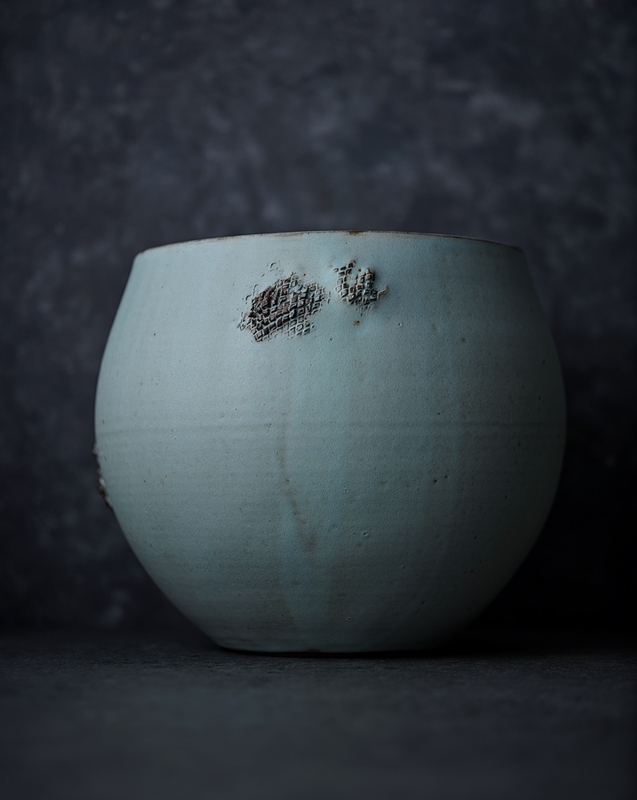 My work is mainly stoneware, high fired iron bearing clays fired in an electric kiln to 900C for the first firing and then a glaze firing up to 1270 C.
I like to create strong contrasting textures of clay and glaze, often using powdered clays on the wet thrown body to build up a heavily encrusted surface. I have a taste for ancient and primitive pottery, partly because often the means of production are direct and very simple, but also because ancient artefacts are disconnected from their time and immediate function, which gives them great peacefulness. 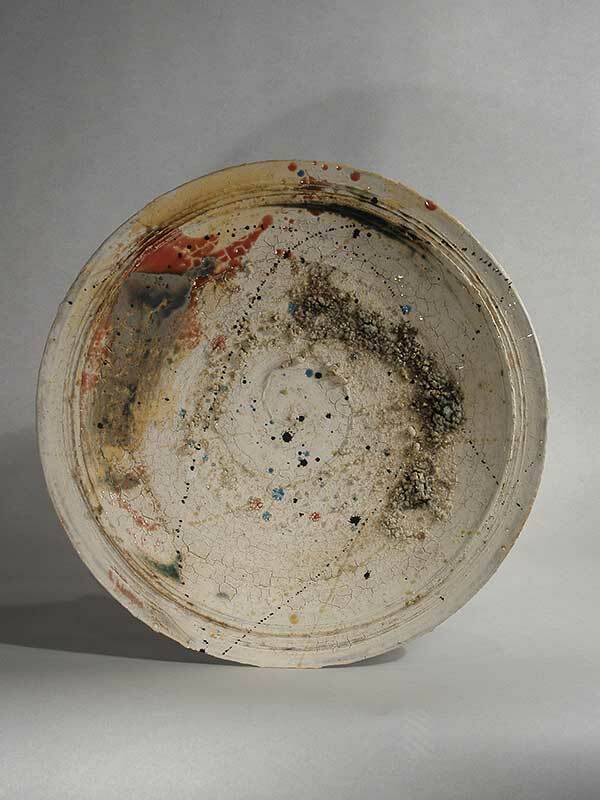 I am a Member of the Northern Potters Association and a Professional Member of the Craft Potters Association. After working as an artist in residence, lecturer and technician I’m now a full time ceramicist. With a studio at home, an old farmhouse, in a glen near Lochwinnoch, Scotland. 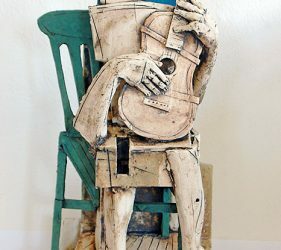 I use clay to tell stories, making illustrations of poems and my own narratives. Experimenting with combining needle drawn lines etched in to porcelain with layers of under-glaze stains, decals, on-glaze and lustre. The resulting detailed images aim to be both playful and intense. 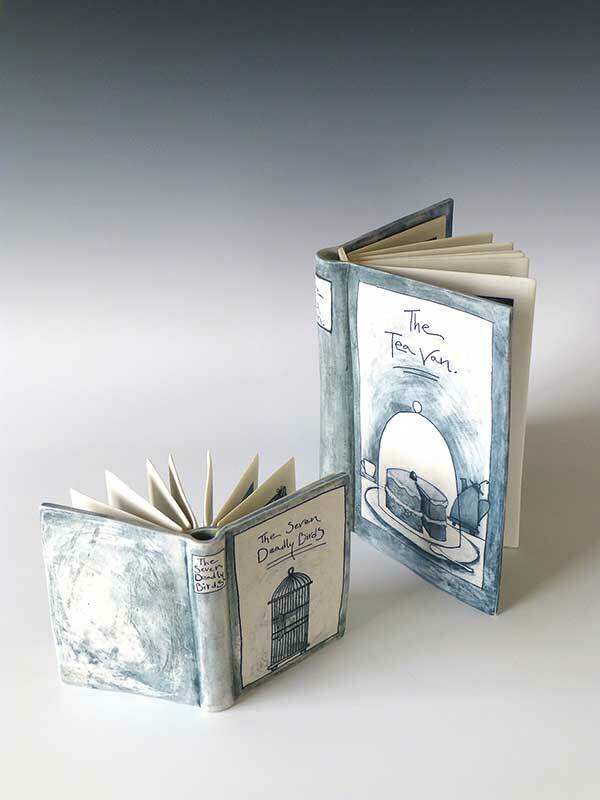 The work takes the form of porcelain books, with moveable pages, and framed panels. 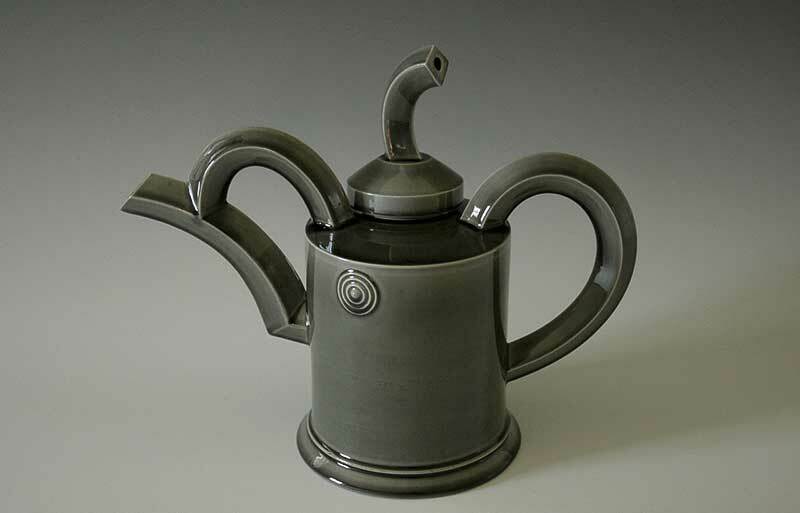 A large influence on my work were three residencies in China, these were in the historic porcelain capital of Jingdezhen, Shanghai and as part of the UK delegation to the FuLe International Ceramic Art Museums. I exhibit in the UK and internationally, and have work in the permanent collections of two museums in China. 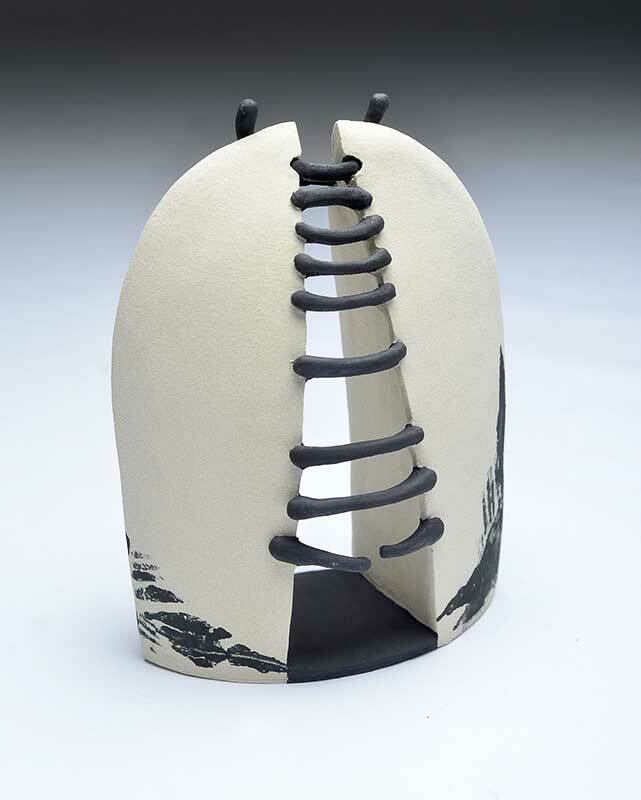 Hyejeong KIM creates stoneware ceramics that marry functionality with elegance and the classic with the contemporary. 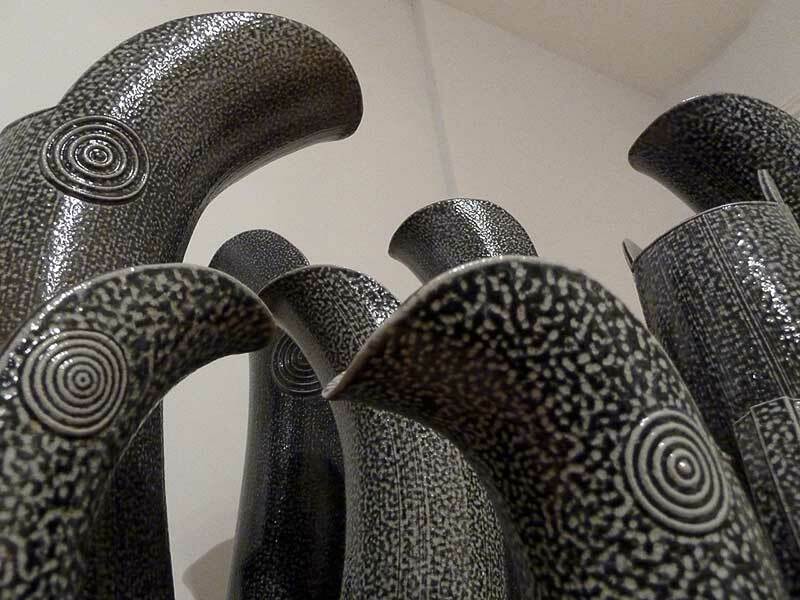 She throws her pots symmetrically on the wheel and then deforms each piece by hand to create gently asymmetric forms that emphasize the human touch. 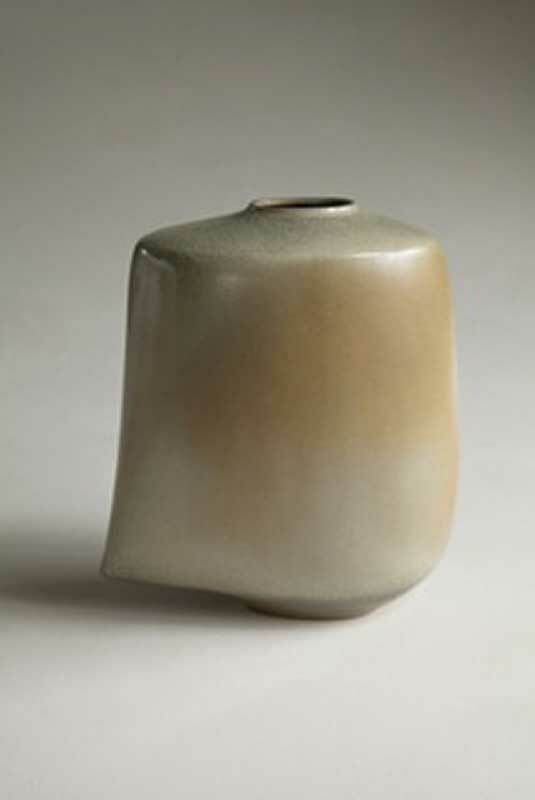 Hyejeong uses the variety of clays and glazes to create her work, which is fired in either a reduction or oxidization atmosphere. 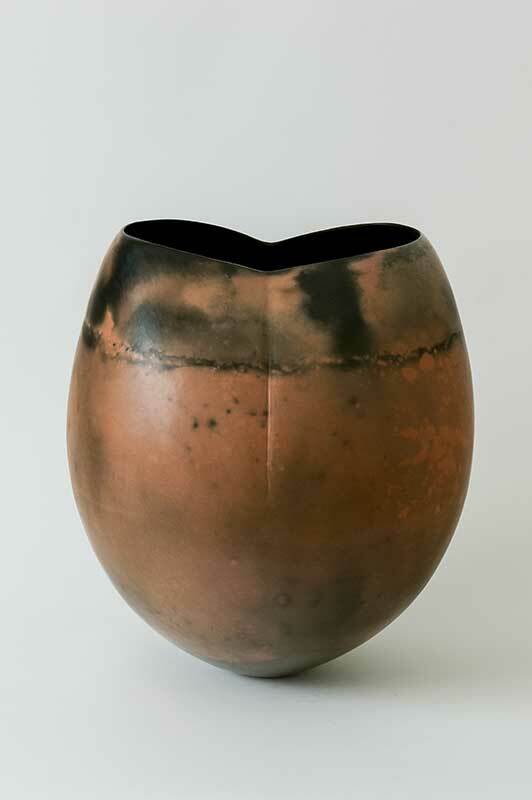 ‘Pots, to me, are the outcome of a ritualistic process that results in a spiritual essence which has taken form.’ She explains, ‘the impressions made on each pot are the combined outcomes of clay body, glaze surface transmuted by fire, and my personal expression.' 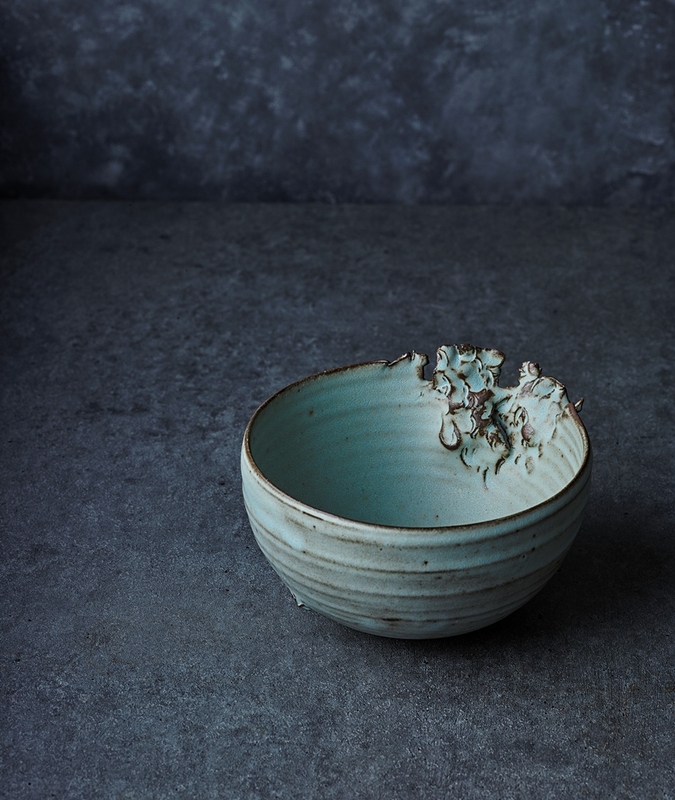 Hyejeong is a professional member of the Crafts Potters Association in the UK and currently teaching at the Ceramics Department of Ewha Womans University in Korea. 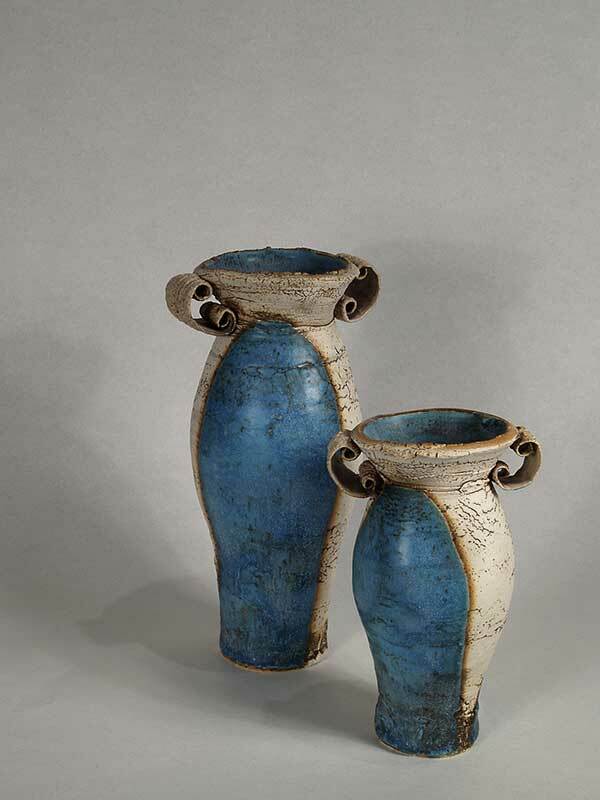 Ruth King's pots composed from modified and intensively worked parts develop a particular character unique to each vessel. 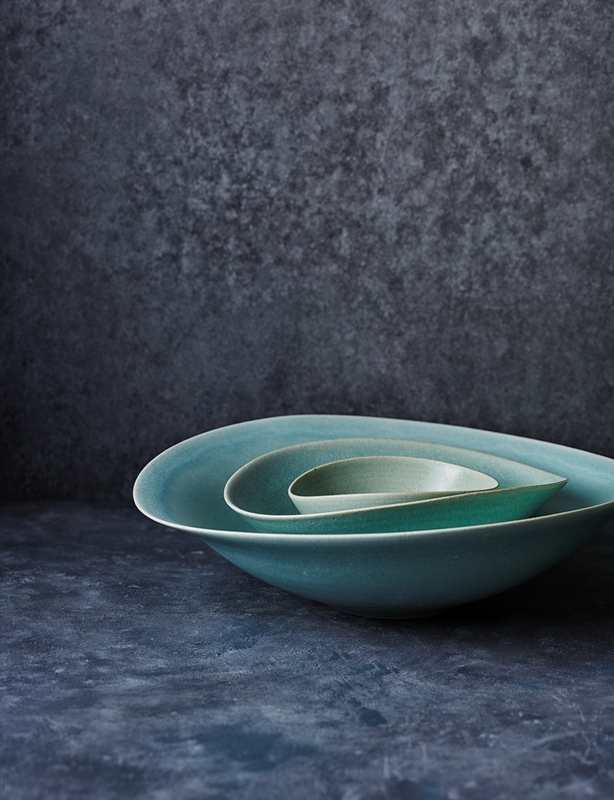 Hand-built in stoneware clay they are enhanced by submission to the vagaries of the kiln, the salt vapours playing across the surfaces bringing a subtle richness and depth that unifies and articulates the forms. Workshop location: North Yorkshire, 5 miles north of York. 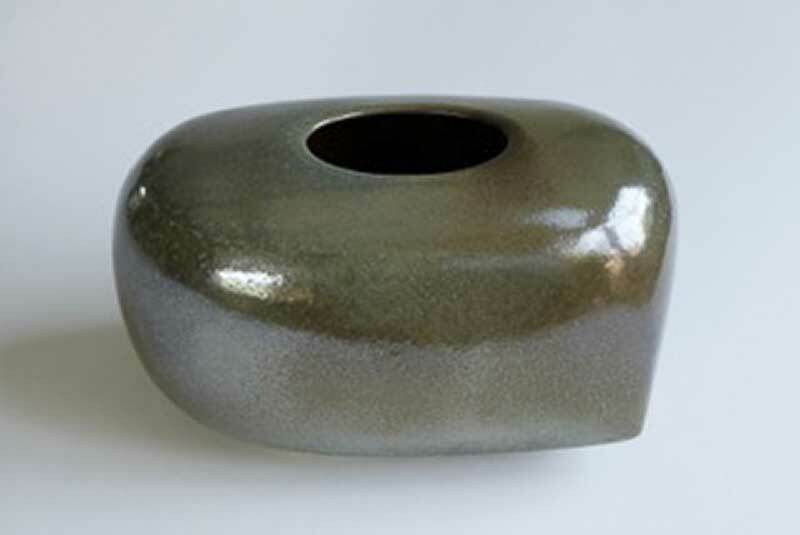 I aim to create timeless vessels for contemporary interiors. Each piece is individually made from porcelain on the potter’s wheel. Naïve, spontaneous pencil strokes, graphic simple patterns that create movement and direction. Every line is drawn by hand which makes the work preserve the moment of making. The imperfections in the pattern make it lively, rough and immediate and unique but still holding an order or direction to bind them together. The Narrative to my work is coming from little snippets of observation in my environment. Lines are jumping out on me in almost anything – stripes on cloth, wires and cables, plants and grasses, architecture and streets just to name a few. After growing up in my mother’s pottery business, I trained professionally at college in Austria and Germany for 6 years. 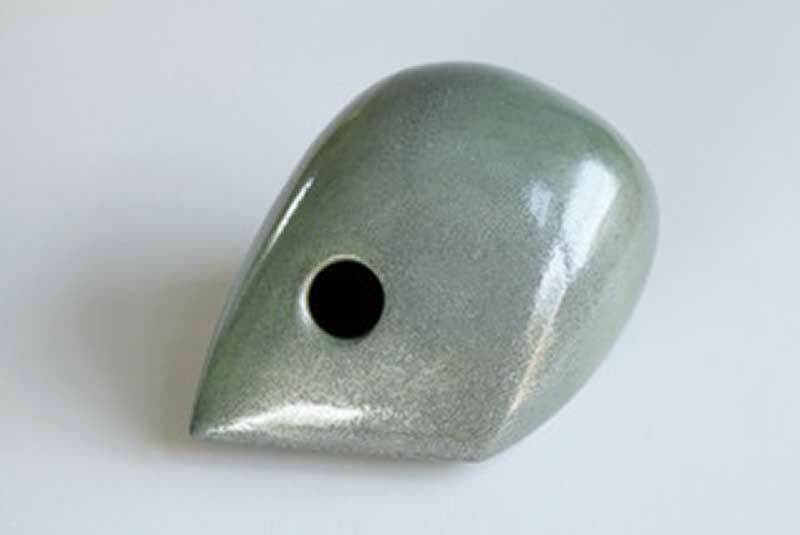 I set up business in Cambridge in 2011 and have been given the silver award 2013 and 2015 by Craft and Design magazine in the ceramic category. In 2014 I was chosen to join the Crafts Councils Hot House program. In 2016 I was accepted for selected membership of the Craft Potters Association (CPA). 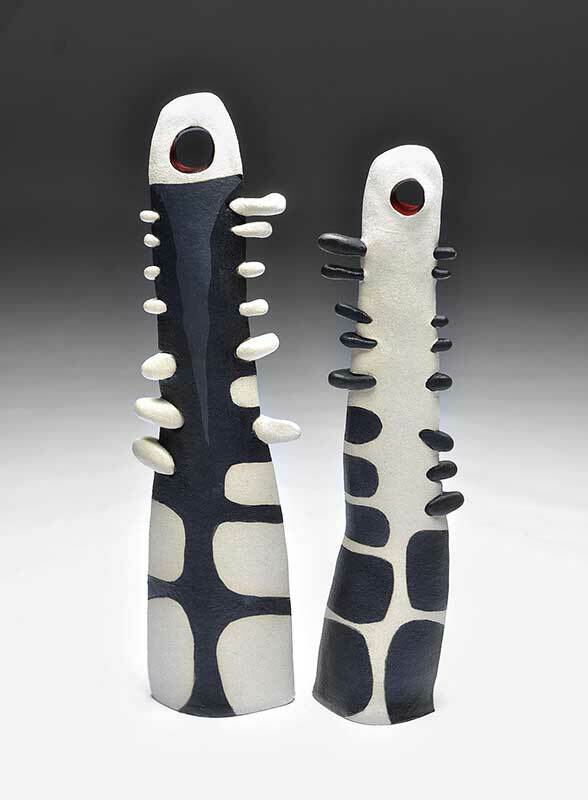 Also this year I have been shortlisted for the international Nasser Sparkasse Ceramic Price Westerwald/Germany. I am concentrating on simple forms, trying to integrate balance and tension, stillness and movement, expansion and the containment of volume, precision and spontaneity. All pieces are hand built and some are burnished to achieve a tactile surface. 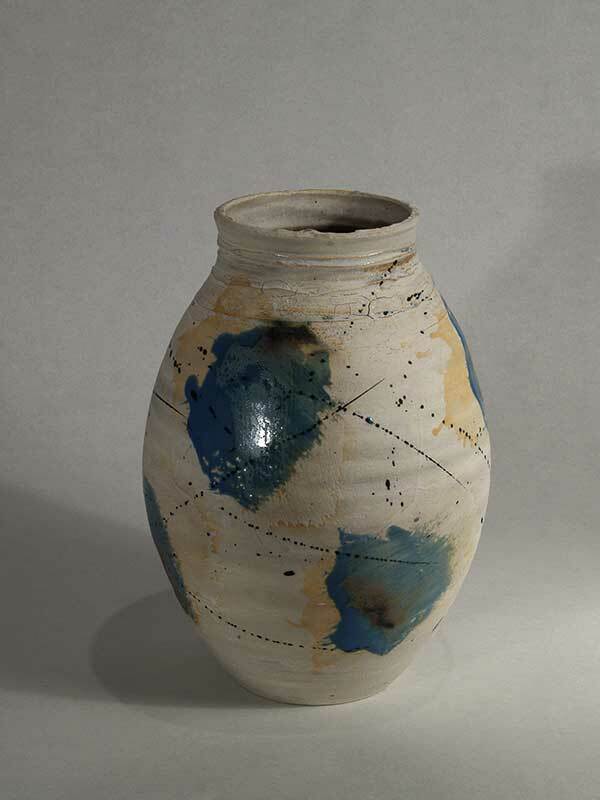 In some pots I have incorporated texture to create a contrast between rough and burnished surface areas. 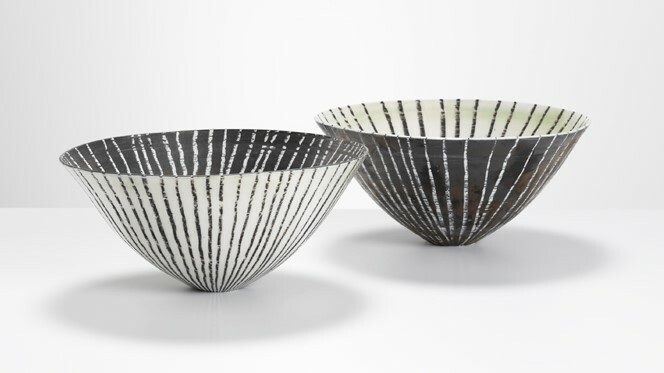 After bisque firing to 1000C the distinctive patterning which complements these burnished forms is achieved in a carefully organised secondary smoke firing. 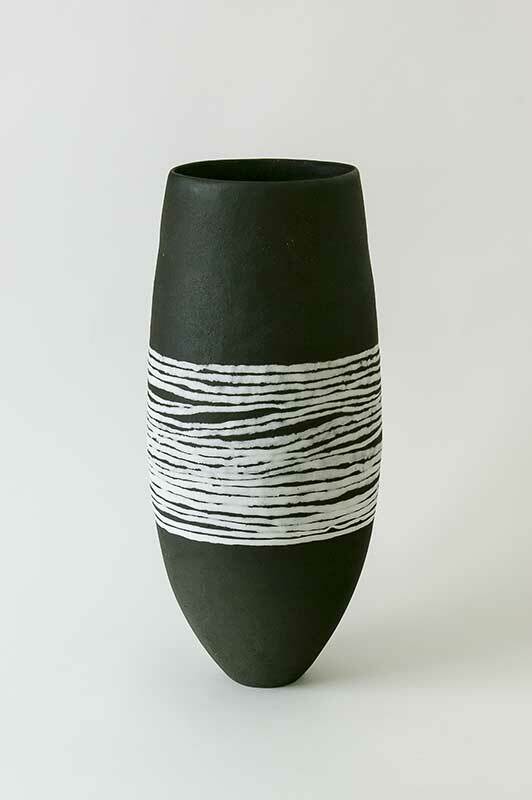 My most recent work sees a shift from low fired earthenware to higher fired stoneware (1200C), combining rough black clay with white porcelain, giving me the opportunity to create strong graphic designs in contrasting colours. 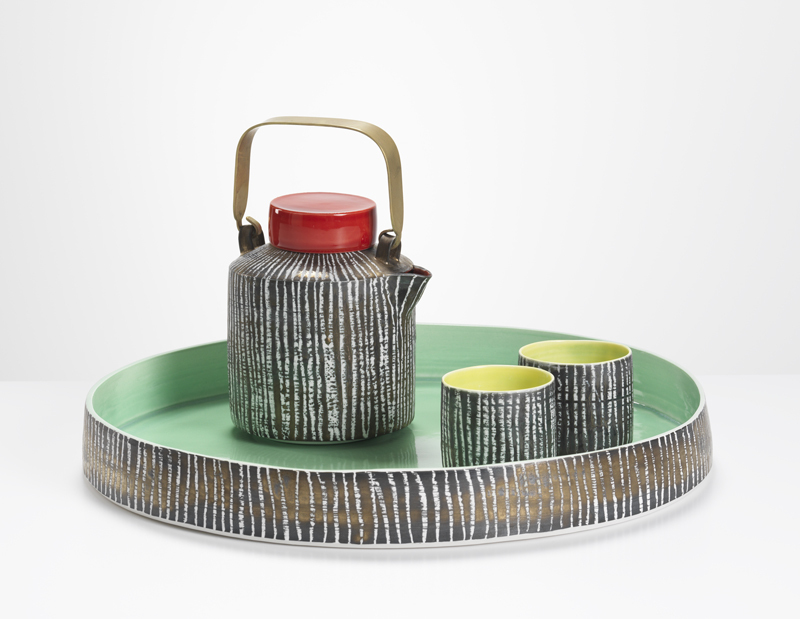 Current developments include experimentation with coloured porcelain and fusing various layers to create depth and patterning within the design. 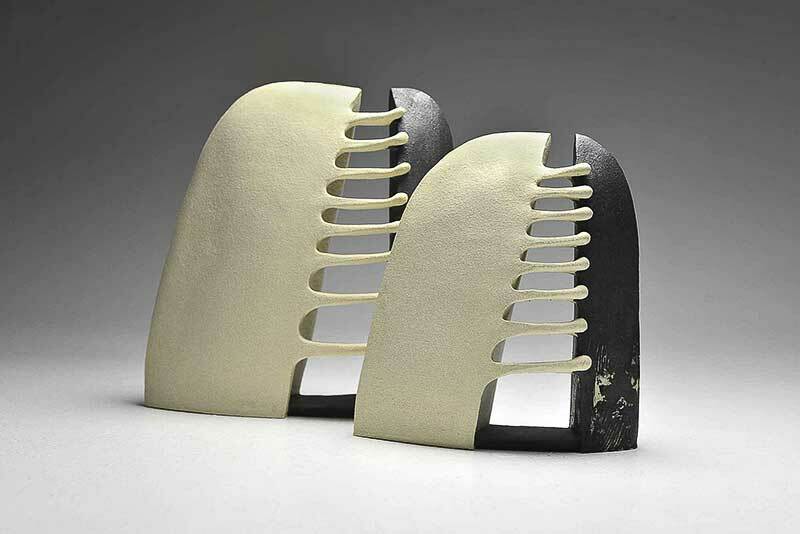 "In Ceramics, there is something that lies beyond skill and experience: it is passion, an intensity which is evident in the work of Gabriele Koch." 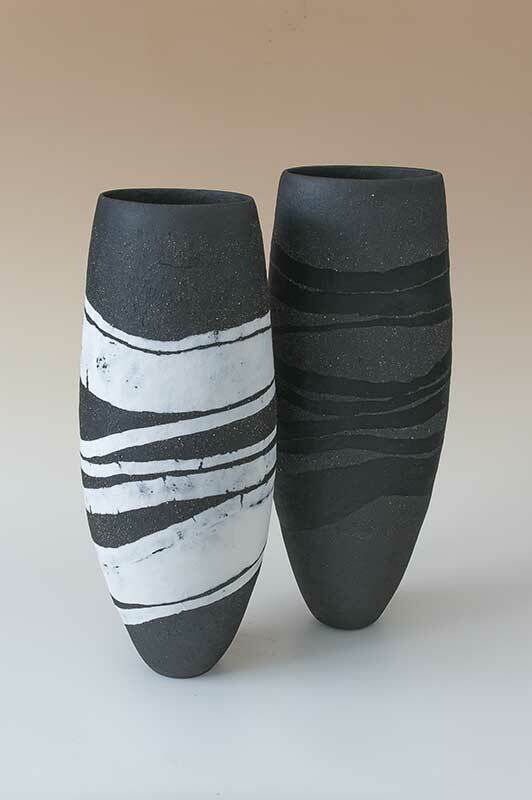 Daiva loves sculptural forms in her ceramics. 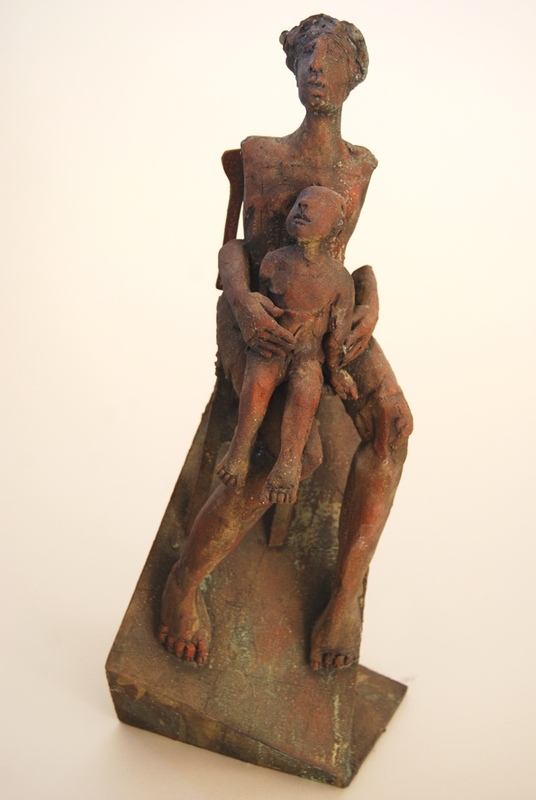 She surrenders herself to the idea and lets it grow in shape organically, allowing metaphysical silhouettes to reappear from her sub consciousness In her abstract works the artist threads the clay to join two sides of one form, like two lives united within a family - the air between floats in space to create harmony and stability. 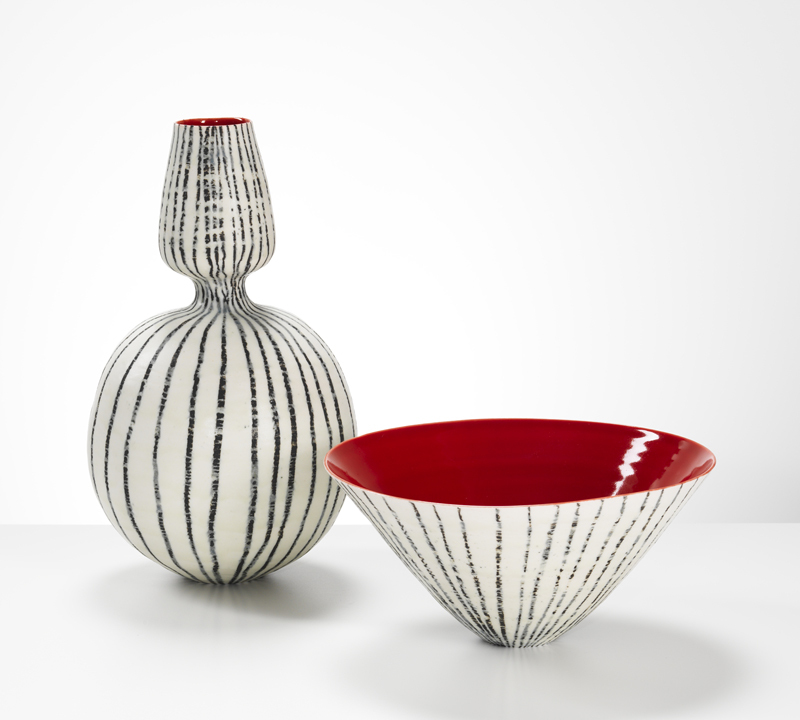 Her sculptural shapes are elegant and precise; Daiva constantly searches for proportion and balance in decoration, sometimes disrupting the palette of black and white with a fiery red. 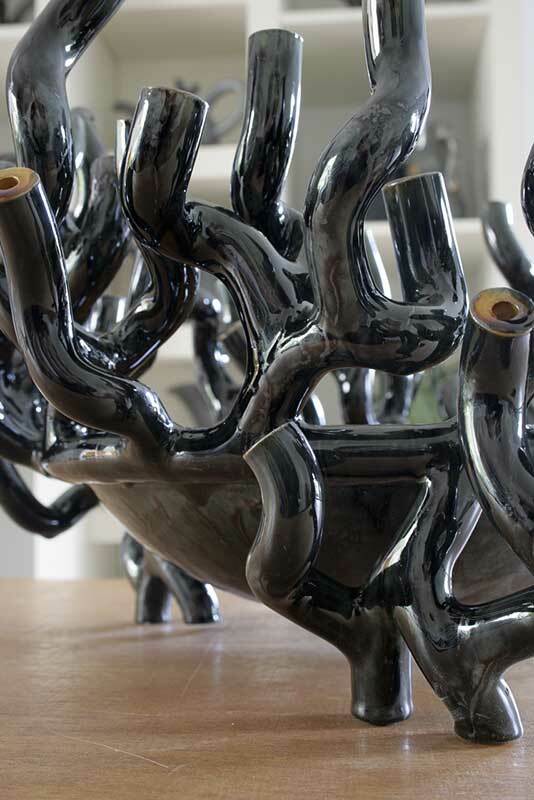 To make her abstract sculptures in various forms, Daiva hand-builds with a very high temperature clay called T-material. This allows her to make pieces as strong as stone but at the same time with intricate details. This creates contrast not only in black and white colours, but tension between the larger and smaller parts of the pieces.